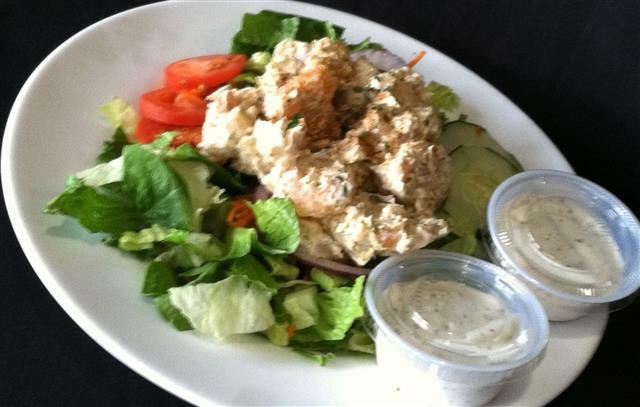 Garden salad topped with a heaping scoop of homemade shrimp salad. 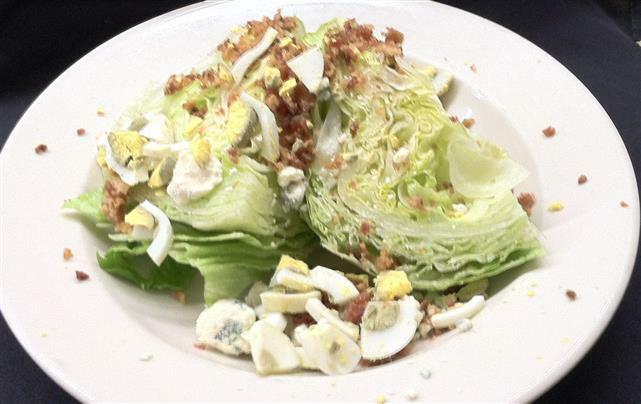 Iceburg wedges served with fresh chopped bacon, egg & blue cheese crumbles. 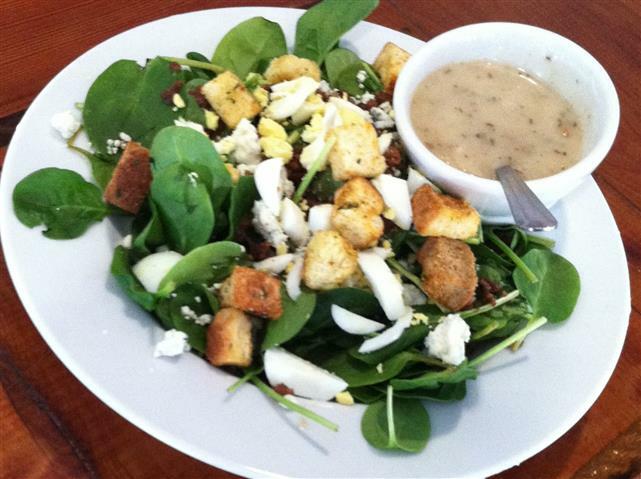 Tender baby leaves, crumbled blue cheese, bacon and chopped egg served with a warm bacon dressing. 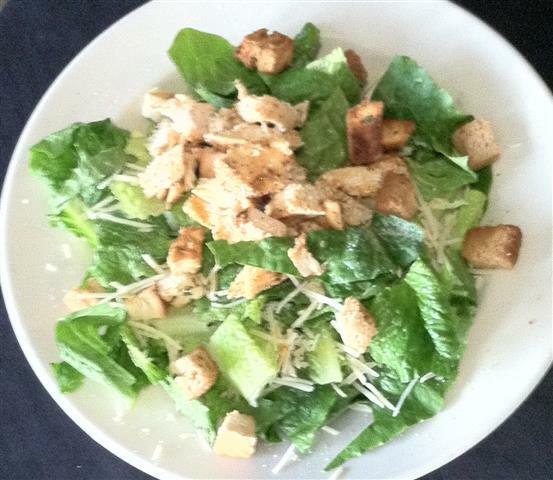 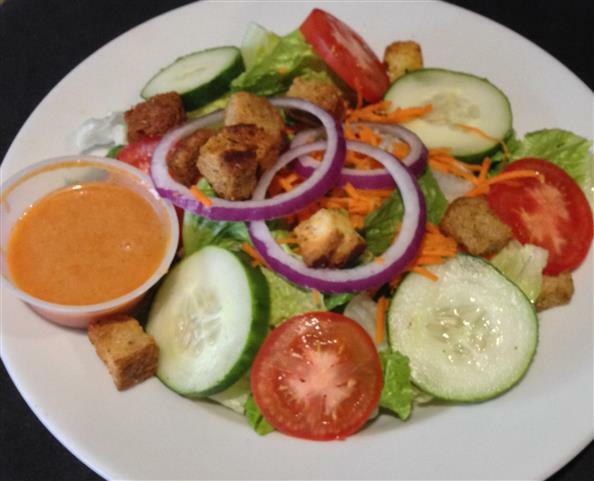 Fresh romaine tossed with cheese, croutons & a creamy dressing.